It's time to change your Kentucky Registered Agents! 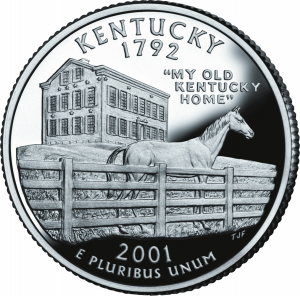 What is a Kentucky Registered Agent? The state of Kentucky requires Kentucky LLCs and Kentucky Corporations registered in the state to conduct business, have Kentucky Registered Agent service. The Kentucky Registered Agent you appoint for your company, will receive legal service and government notices on your behalf. The Articles of Incorporation or Organization for both domestic and foreign entities, ask for the address of the registered office to receive service of process. The Service of Process is a notice of a summons or a lawsuit. I like to give IncSmart all the business I can as they are responsive, cost effective and always make my life easier. Fast service and low prices. Thanks IncSmart. The web page is awesome. I just went through all of the resolutions for company meetings. It's awesome. Great service. Fast Service. We ordered our registered agent online and they emailed us the name and address right away. No waiting. Fast service. We place the order and the information was in our email. No kidding. The fees are also the lowest we could find. Thank you so much, David. So fast!! Much appreciated!! I called IncSmart and talked to David. He took our registered agent order over the phone, and I had our information in email before we hung up. Very nice company to work with. We just changed our registered agent service to IncSmart. Our old agent just up and moved away without telling a soul. The $49 fee is a great price. 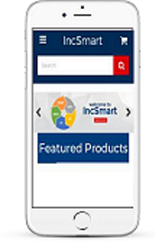 The IncSmart web site has all the information we need to keep our company up and running. Good prices for Kentucky Registered Agent services. We had the registered agent signature right away. Amazing pricing for Kentucky registered agent service. I have checked the entire web, and IncSmart has the best fees. We ordered and had the info right away. IncSmart even answered questions we had on filing our "Foreign" articles. Our old agent was charging more than $100 a year for Registered Agent appointments. We are moving all of our LLCs to IncSmart. You cant beat the fees. I wish I had found them years ago. Thank you IncSmart. We never used your company before but the fees are exceptional and the web page is easy to use. Q: Can I use the Registered Agent address as my company address for the Articles ? A: Yes you can. We will only send you mail from the IRS, Secretary of State and any legal services. Q: Where is your Kentucky Registered Agent located? A: Our Registered Agent is located in Lexington. IncSmart Kentucky Registered Agent will alert you in a timely manner about all documents and service of process received as your registered agent. The state of Kentucky requires Kentucky LLCs and Kentucky Corporations registered in the state to conduct business, have Kentucky Registered Agent service. The Kentucky Registered Agent you appoint for your company, will receive legal service and government notices on your behalf. The Articles of Incorporation or Organization for both domestic and foreign entities, ask for the address of the registered office to receive service of process. The Service of Process is a notice of a summons or a lawsuit. Now you too can have an Kentucky attorney on retainer.